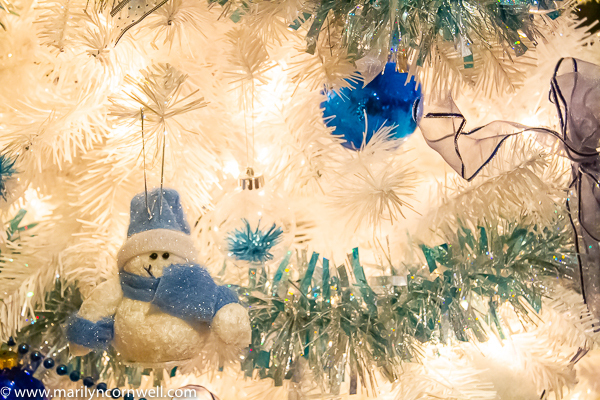 There are many beautiful representations of snowmen during Christmas. The song Frosty the Snowman was written for Gene Autry by Walter Jack Rollins and Steve Nelson in 1950. They wrote Peter Cottontail too. Gene Autry had a bit hit the year before with Rudolph the Red-Nosed Reindeer. He got another with Frosty. There's no Christmas in Frosty the Snowman. The tie-in to Christmas was Frosty saying he'll be back next Christmas day. That also solved the sad end of the melting man. Do you know what wikipedia says about snowmen? "A snowman is is an anthropomorphic snow sculpture often built by children in regions with sufficient snowfall. In many places, typical snowmen consist of three large snowballs of different sizes with some additional accoutrements for facial and other features. Due to the sculptability of snow, there is also a wide variety of other styles. Common accessories include branches for arms and a rudimentary smiley face, with a carrot standing in for a nose. Human clothing, such as a hat or scarf, may be included. Low-cost and availability are the common issues, since snowmen are usually abandoned to the elements once completed." Snowmen have been documented since medieval times - earliest is an illustration from a 1380 book of hours. And I saw this reference: In 1494 a young up and coming artist by the name of Michelangelo was commissioned by Piero de’ Medici to create a snowman for the ruler. The article is HERE. It is most enjoyable, with tidbits like: in 1818 Zurich started celebrating the beginning of spring by blowing up snowmen. 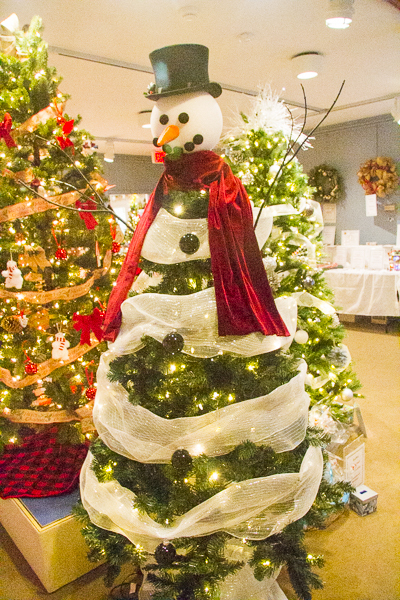 Consider our current snowmen and snow ladies: Bethel Maine is known as the home of the world's tallest snow woman - the record was set in 2008 with the height being 122 feet (11 stories). It melted July 30, 2008. You can see it HERE. 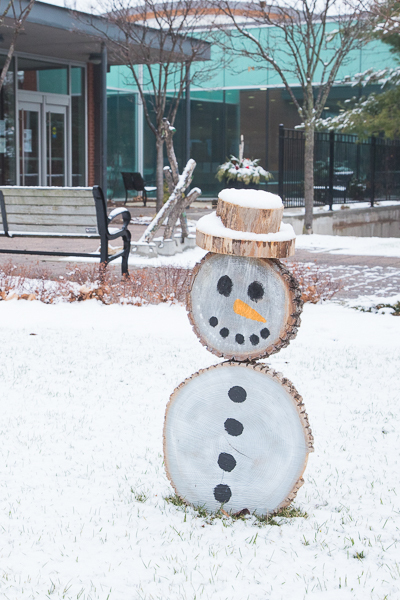 We have a few snowmen from the Fantasy of Trees, and the little log sculpture in front of the library. These little sculptures are all over town.